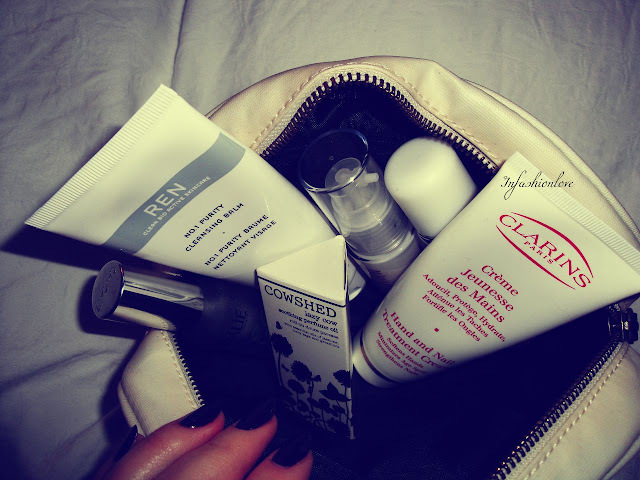 INFASHIONLOVE.COM: Skincare All-Rounder: Dehydrated Combo/Oily Skin Type! 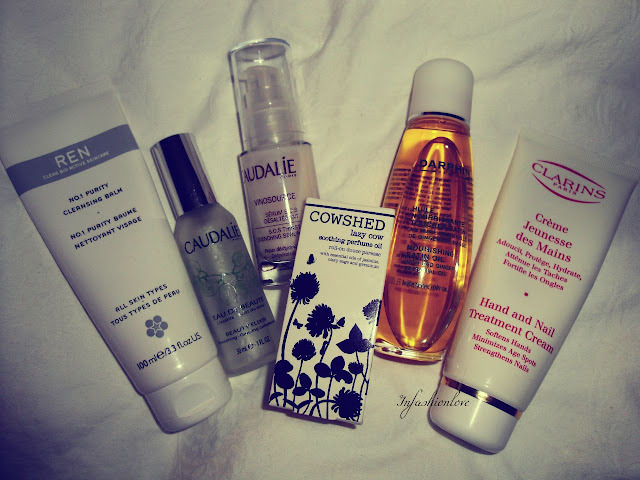 Skincare All-Rounder: Dehydrated Combo/Oily Skin Type! 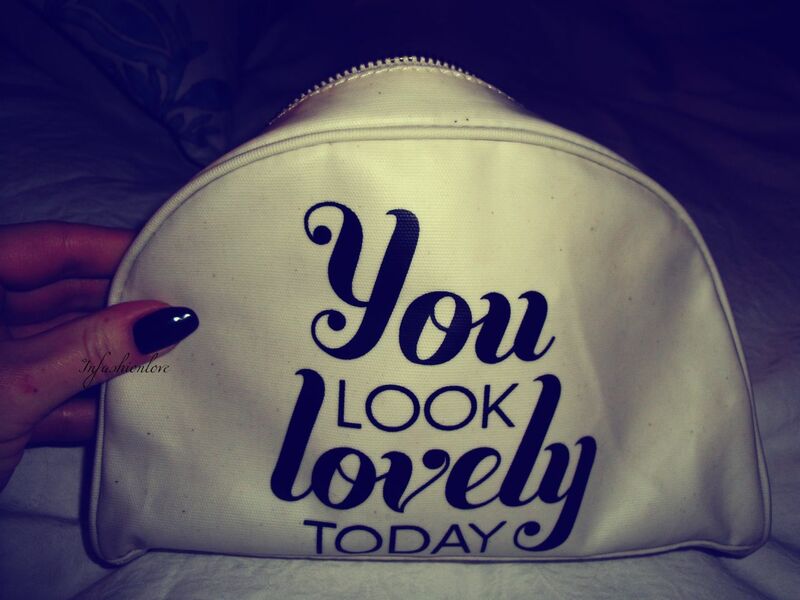 Loving this Alphabetbags Cosmetic Bag! So, here is what I do at the end of a very long and very cold day! Firstly I light a scented candle and put some relaxing music on, it's all part of the self-indulging process... After I take my make up off, I use the Ren No.1 Purity Cleansing Balm, it's a fantastic cleanser for all skin types - to read my full review click here! Then I spray the Caudalie Beauty Elixir, which is a soothing toner for glowing complexion and it's also great for blemish prone skin - for full review click here! And then I finish off with Caudalie Vinosource S.O.S Thirst Quenching Serum, it's a very light and fast absorbing texture that hydrates the skin instantly without leaving any residue... Click here for my full review... These three steps balance my skin very well, and I wake up to a hydrated and fresh feeling skin! Generally when my face starts feeling dehydrated the chances are so will be the rest of my body! For my body I love to use the Darphin Nourishing Satin Oil, it's with red ginger essential oil - for full review click here! It warms up the skin beautifully, perfect for the winter! After taking a hot shower or a hot bath I massage the oil into my skin before going to bed... And of course it's also important to keep your hands really hydrated in the cold weather as they are exposed the most! During the day I like to keep reapplying the gorgeous Clarins Hand and Nail Treatment Cream, hands down it's my favourite hand cream... Not only does it soften the skin beautifully but it also minimizes age spots and strengthens nails! 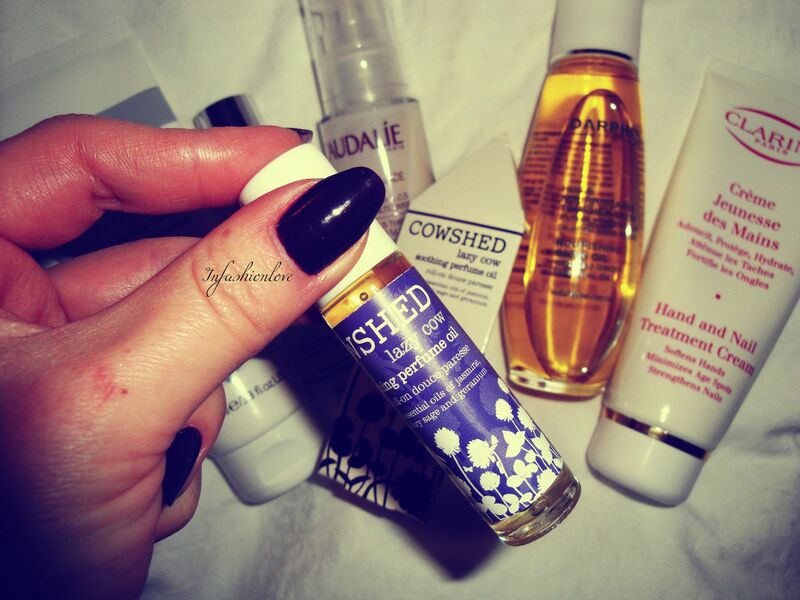 And finally I like to keep the Cowshed Lazy Cow Soothing Perfume Oil roll-on in my handbag, and reapply it during the day on my wrists... It's got jasmine, clary sage and geranium essential oils, a very soothing and relaxing scent that helps me to get through a freezing day!